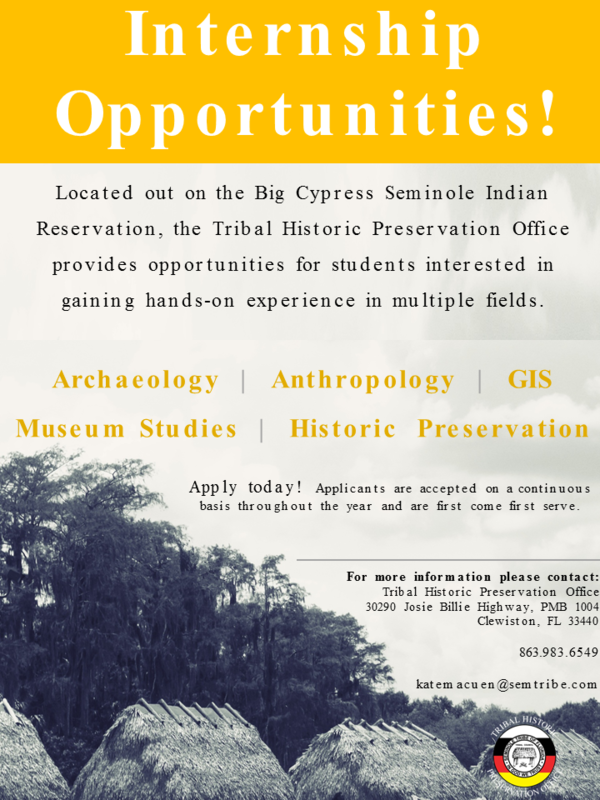 The Seminole Tribe of Florida’s Tribal Historic Preservation Office internship program welcomes students and recent graduates who wish to broaden their education and professional experience by working and learning about the preservation of the Seminole Tribe’s cultural resources. Several THPO departments offer interns a hands-on environment in exchange for a substantive contribution from hard working and interested individuals. Applications are accepted on a continuous basis throughout the year and are first come first serve. Internships require a minimum commitment of five (5) hours per week, during which time interns complete a specific target project as well as daily assignments. 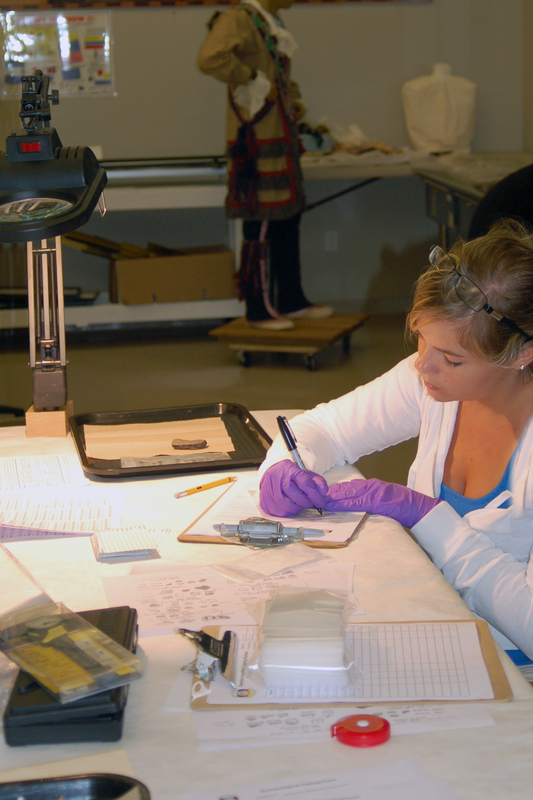 Interns also participate in special events, various educational programs, as well as attend departmental meetings. The THPO does not offer paid internships but does participate in cooperative education programs. Students interested in cooperative education or academic credit should contact their academic advisor for more information. Interested applicants should have an interest in Anthropology, Archaeology, Native American Studies or a related subject. Application materials include the THPO internship application packet and a resume. If applicable, include your school’s requirements for credit with your application. Applications may be submitted electronically by emailing Juan Cancel and attaching the THPO application form, resume and any additional materials. When submitting an application by e-mail, please label your materials in the following order; last name, first name, underscore and type of document. For example, if you name is John Doe, your resume should be labeled as follows: Doe John_Resume.